There is no reason why CMMS software benefits cannot be realized by the entire maintenance team, if not the entire organization. 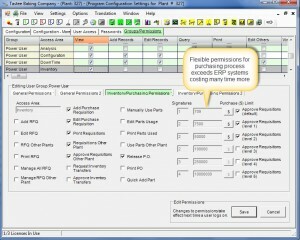 In particular using a role-based permission system with CMMS software saves the maintenance manager time. MaintSmart's role-based permissions provided a way for limited users to only see their work. Additionally setting to the permissions can force the close date for work orders and preventative maintenance tasks to "today". This encourages timely submission of closed PMs and work orders. 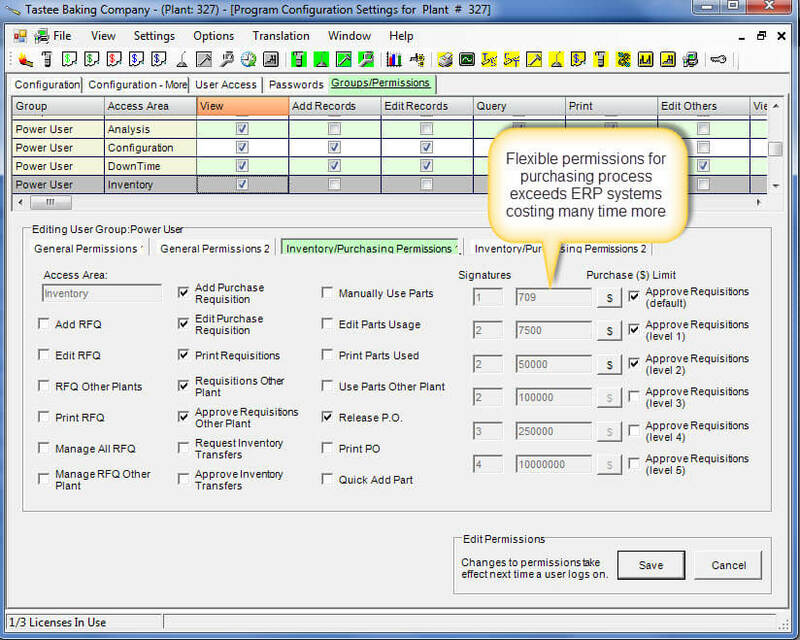 The benefits of ole-based permissions in CMMS software is especially obvious with the purchasing module. Purchasing, by nature, often requires a secure environment. Our CMMS has six (6) levels for purchasing approval that may customized by cost of line item and required signatures count For example a low cost item under (example) $100 may be approved for purchase by one electronic signature of a Level 0 user. Alternatively a $10000 item may require three (3) signatures of Level 4 or above users. Of course any of the Level 4 users could approve for purchase the $100 item too. Other CMMS software benefits to role-based permissions involve the integrity of the data in various parts of the program. For example an inexperienced user should not have access to low-level data such as equipment, task descriptions and inventory definitions. Mistakes here could be costly, data-wise that is. When choosing a CMMS be certain to carefully evaluate the access control to screens, buttons and ability to interface with attached devices. All this and more are basic CMMS software benefits that the maintenance manager realizes with MaintSmart CMMS software.